The best property I have ever stayed in Europe! Clean and tidy to the last detail. Property looks like brand new with all the surfaces, furniture etc. Amazing style! We stayed in one of the suites with 2 bedrooms and it was perfect for 3 adults and a baby to share. There was even a private terrace upstair! Excellent location and the people working there are so kind and friendly. 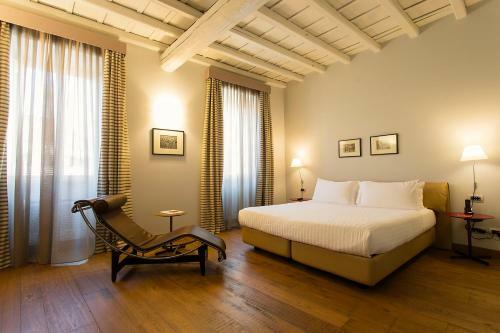 It’s a hidden gem near the Trevi Fountain with amazing accommodations and wonderful staff. We have high standards and this hotel exceeded them. We traveled with two kids and they had a comfortable bed in the living area and there was one and a half bathrooms in our room and a kitchen with kitchen table. The staff replenished supplies everyday and breakfast was included. We traveled in three countries this trip and the only hotel that was as nice was a Firmdale which was twice as much when we were in London. Stella and Emma were incredibly helpful with directions and reservations and everyone spoke perfect English. We were very comfortable and wished we had more time in Rome. The cleanliness was and size of the room was amazing. However, the people (Stella, Laura and the morning breakfast girl were all terrific) made the stay worth staying again. The restocking of the beer and snacks everyday was awesome. The apartment was an oasis amongst the crowds in Rome. 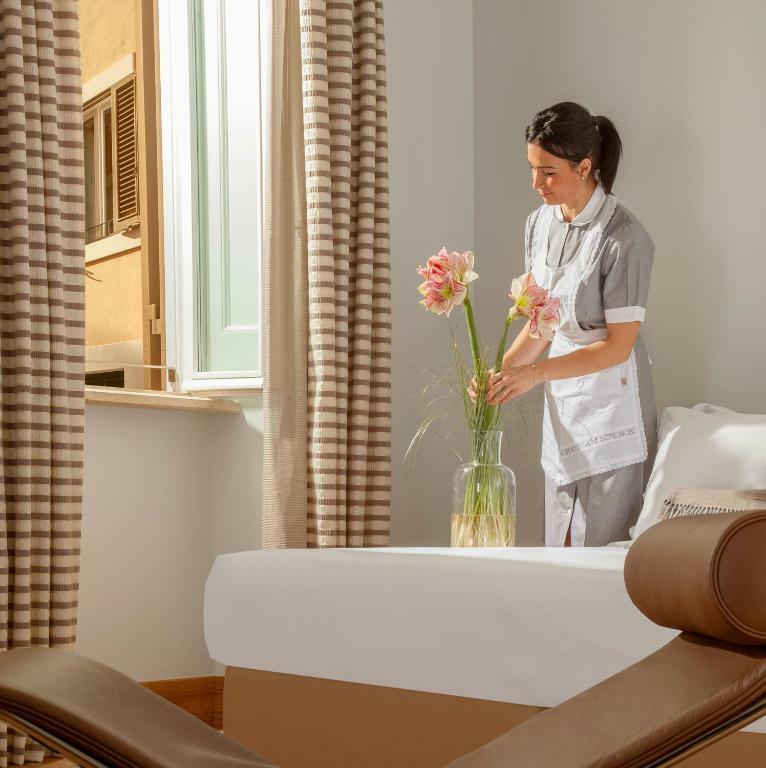 It is literally 50 steps from Trevi Fountain and walking to distance to all of the main historic attractions of Rome. The staff, especially Stella and Tatiana were amazing. Location and friendly professional staff! Special thank you to Stella-very helpful and professional, friendly in a nice easy genuine way! The location , the privacy and the attentive staff. 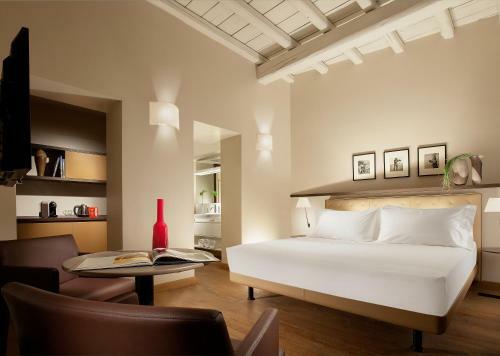 Lock in a great price for Palazzo Scanderbeg – rated 9.5 by recent guests! 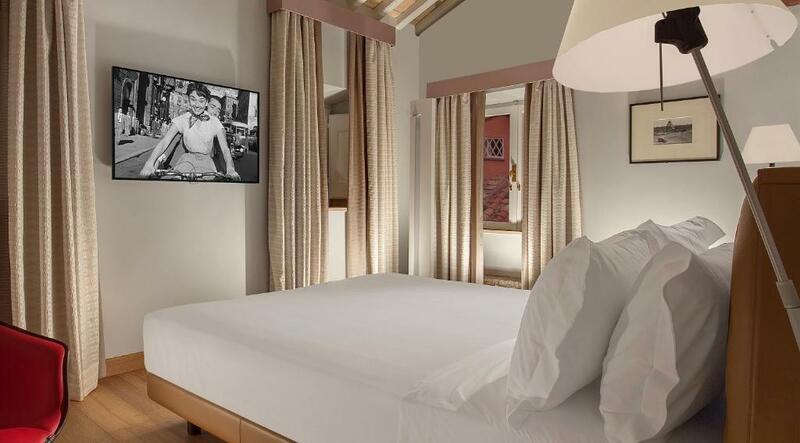 Offering accommodations with air conditioning, Palazzo Scanderbeg is located in Rome, 350 feet from Trevi Fountain. 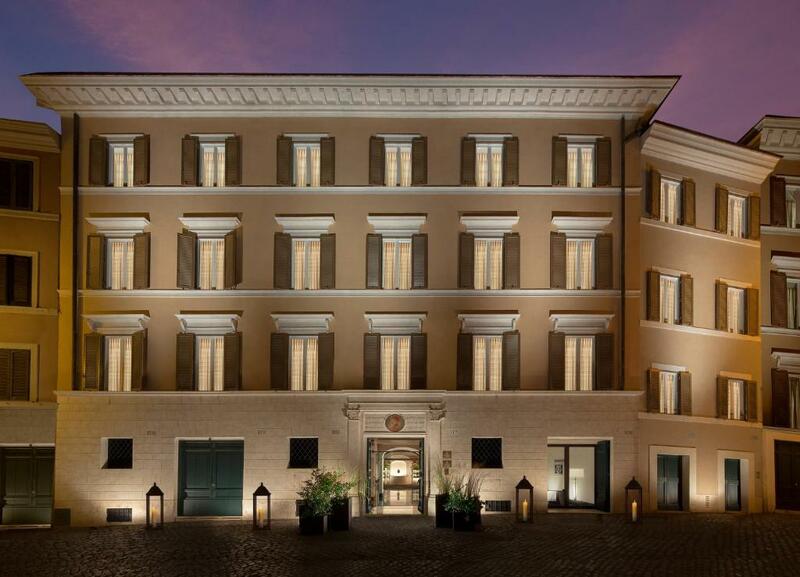 Quirinale is 1,300 feet from the property. Free WiFi is featured throughout the property. The accommodations has a seating area. 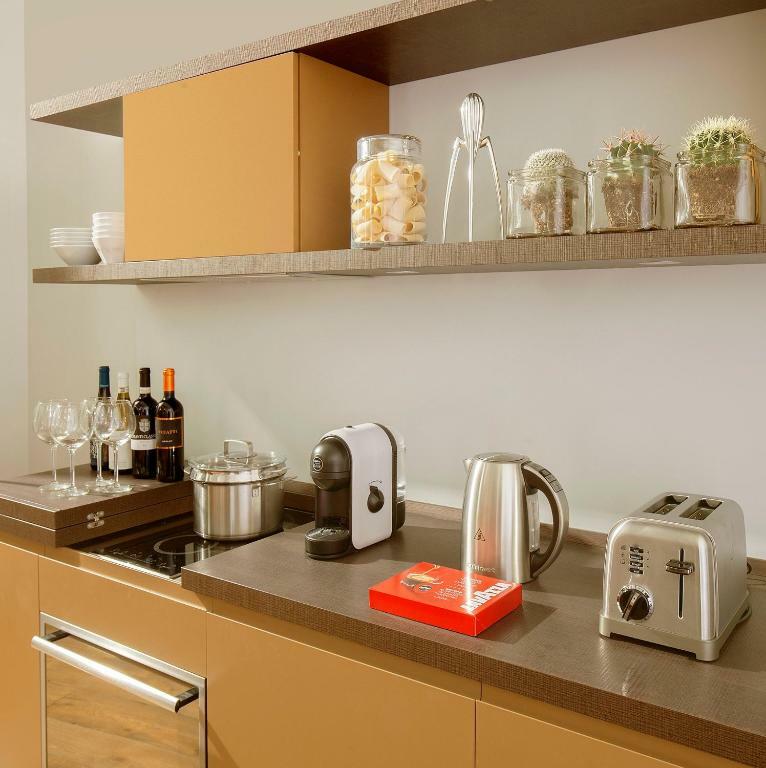 A mini-bar and coffee machine are also offered. There is also a kitchen in some of the units, fitted with a dishwasher. There is a private bathroom with a bath or shower and bidet in every unit. The property also offers grocery delivery and a wine cellar. When booking a room with a breakfast-included rate, a continental breakfast is provided. Piazza Venezia is 1,650 feet from Palazzo Scanderbeg. Rome Ciampino Airport is 8.7 mi away. When would you like to stay at Palazzo Scanderbeg? This suite has a bathrobe, mini-bar and kitchen. Includes a morning butler service. Private parking is available at a location nearby (reservation is needed) and costs EUR 60 per day. This air conditioned room comes with parquet floors, mini-bar and electric kettle. This suite has a seating area, air conditioning and dining area. Includes a morning butler service. This suite has a dining area, air conditioning and bathrobe. This twin/double room has a mini-bar, bathrobe and air conditioning. Area Info – This neighborhood is a great choice for travelers interested in fountains, city walks and food – Check location Excellent location – show map Guests loved walking around the neighborhood! House Rules Palazzo Scanderbeg takes special requests – add in the next step! Palazzo Scanderbeg accepts these cards and reserves the right to temporarily hold an amount prior to arrival. 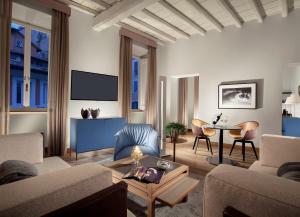 We had a suite and it was amazing, fully renovated, wonderful bathroom, great dining room and kitchen, very spacious. The staff is great, answering immediately to any request. Location is great too. This is first time i am writing my experience at Booking. Because this hotel was AMAZİNG and everybody must learn it. First of all, Before we went there,they had been upgraded our room. Because i asked them extra bed for my 1 year and 3 years kids. When we arrived, everything was ready. They just show the room and tell everything about hotel. The room was very clean. Everyday they renew the minibar and it is free. For breakfast just calling the reseption is enough. They bring your breakfast in your room. Everyday they clean the room. Without saying anything about it, they change our bed. The staff (all of them) are trying to do their best to help the visitors. They always try to find a way to make your request happen. I want to thank them again From here. Our flight was at night and in morning before our fligh we left our luggages there and when we came back we asked them for a room to change our kid’s clothes, They gave one and it was very thoughtful behavior. I think noone does it again for us. The location is perfect. It is in the Middle of the Rome, near the Fontana di Trevi. So PALLAZZO SCANDERBEG is the BEST hotel you can stay in ROME. If i come back again, i absolutely stay in this hotel. 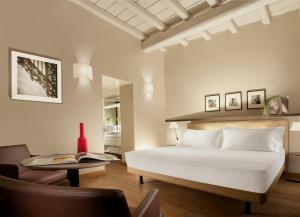 Don’t search any hotel in Rome, choose here you will not regret i’m sure. There is nothing to really complain about because it was so wonderful but there’s a restaurant next door and we could hear the kitchen through the windows at night if it was still open when we were going to bed. All the staff were extremely polite and charming. The hotel was quiet and the room spacious and comfortable and well appointed. Breakfast was simple but very good. No comments, nothing to say. Fresh croissants and cheese! Very friendly staff. Perfect location! Some taxis found it difficult to reach the front of the hotel. The noise from trash every morning! A little closed in as a location but near great sites and open air restaurants and cafes.